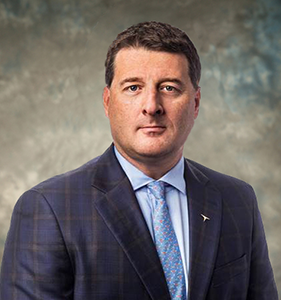 Lance Turner joined Triumph Group in September 2017 as Senior Vice President and Chief Human Resources Officer. He leads the HR, Communications, and Environmental Health & Safety functions across the entire enterprise to establish policies and practices that benefit both the company and its 14,000 employees. Lance is responsible for the global employee experience, safety, communications, talent acquisition, employee engagement, recognition, compensation and benefits, payroll, labor relations for represented employees and contingent labor. Prior to joining the company, he served as Vice President of Human Resources for CenturyLink in Monroe, Louisiana, where his responsibilities included talent management, performance management, organizational design, executive succession, employee engagement, training, learning and development. Lance also spent 13 years at Honeywell, in various domestic and international HR Generalist roles of increasing scope and complexity including HR program management, staffing, and business integration. His tenure at Honeywell culminated as HR Leader, North America, Integrated Supply Chain. Lance has more than 20 years of experience in Human Resources, and holds bachelor’s degree in Industrial Relations from University of North Carolina at Chapel Hill and is a certified Six Sigma Greenbelt.